USPA NEWS - The Howard Hughes Corporation just announcde that The Rooftop at Pier 17 at the Seaport District was named "Best New Concert Venue" for 2018 at last week's 30th Annual Pollstar Awards. The Prestigious International Awards Ceremony, presented by Live Nation Entertainment, Inc., capped off a MultiDday Conference that gathered Global Leaders throughout the Live Entertainment Vusiness in Beverly Hills, CA. The Howard Hughes Corporation just announcde that The Rooftop at Pier 17 at the Seaport District was named "Best New Concert Venue" for 2018 at last week's 30th Annual Pollstar Awards. The Prestigious International Awards Ceremony, presented by Live Nation Entertainment, Inc., capped off a MultiDday Conference that gathered Global Leaders throughout the Live Entertainment Vusiness in Beverly Hills, CA. The Rooftop at Pier 17 was singled out amongst a Diverse Group of New Venues from around the United States and Canada, in which Nominees were selected by a Panel of more than 2,000 Agents, Managers, Promoters,Venue Operators and Professionals across the EntertainmentIindustry. The Rooftop at Pier 17 launched its inaugural 2018 Summer Concert Series at the Seaport District in Partnership with Exclusive Booking Partner Live Nation. The First Of-Its-Kind, Open-Air Rooftop Venue introduced Residents and Tourists alike to a Unique Concert Experience with an All-Star Line-Up of Artists including, Amy Schumer, Kings of Leon, Diana Ross, Sting, Gladys Knight & The O'Jays, Trevor Noah and more. 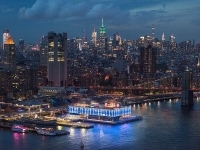 In its First Season, the Venue sold out 18 of 23 Shows, and welcomed more than 60,000 Guests to enjoy specially Surated Menus, Pemium Drink Stations and Luxury VIP Experiences, while taking in Iconic Panoramic Views of the Brooklyn Bridge, Empire State Building and the Statue of Liberty. 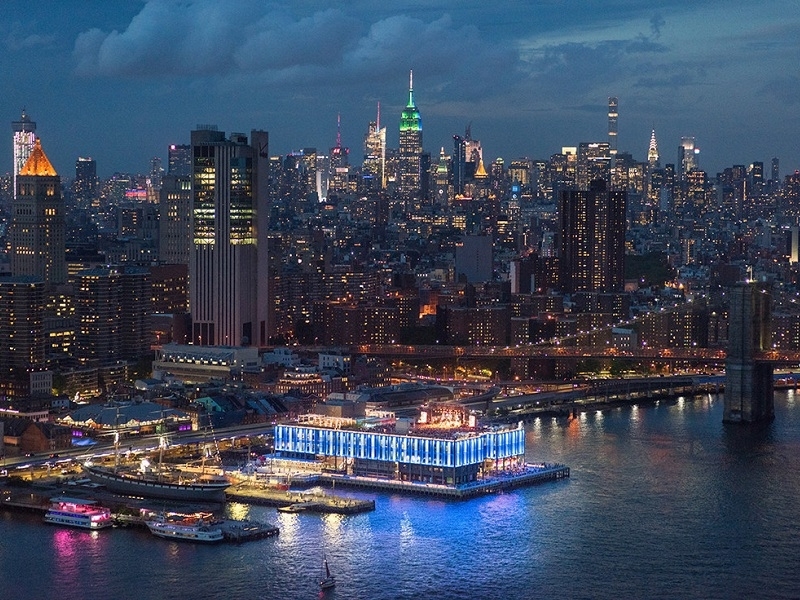 "We are Honored and Proud that The Rooftop at Pier 17 has been recognized as the 'Best New Concert Venue' in the Country," said Saul Scherl, President of the New York Tri-State Region, The Howard Hughes Corporation. "This Award is aTtestament to all of the Hard Work and Dedication that went into turning our Aspirational Vision into a Reality. We look forward to welcoming Concert-Goers back to the Seaport District this Summer for Another Incredible Season of First-Class Entertainment and Amenities–All set against the Breathtaking Views of New York City."